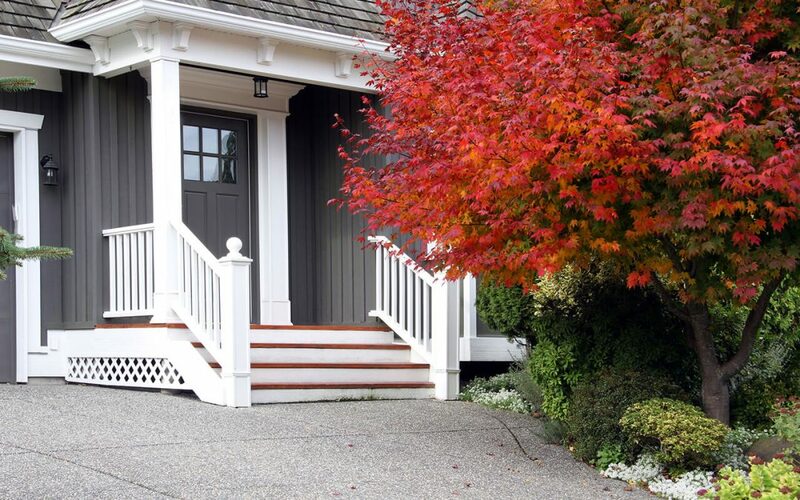 Although springtime is the most popular time of year to spruce up your home, it’s important to give your home a little extra care and maintenance during the fall to prepare for winter. Fall provides you with the last few months of moderate weather and extended sunlight before the dark, colder months of winter roll in. If you want a cozy home this autumn season, here are four easy ways to prepare the inside of your home for fall. During autumn, the temperature outside can drop dramatically overnight with the first cold front. Get ready for it now by sealing up your home to keep those frigid drafts out. Cold air entering your home will cause your energy bill to increase as your furnace works harder than usual to keep your home at a set temperature. Installing weather stripping around windows and doors and attaching sheets of plastic over windows are effective forms of weatherization. These weatherization measures are essential when you prepare the inside of your home for fall. As the colder weather sets in during the fall season, there will be nights where you will need to turn on your furnace to keep your home warm and comfortable. Since fall weather offers you warm days with cooler nights, it’s the perfect season to schedule a furnace inspection with a local HVAC professional. There are certain maintenance procedures that are basic enough for you to perform on your own. Any furnace maintenance tasks that require more knowledge and skill than you possess should be handled by a professional. Keeping your furnace in optimal working condition is a smart way to prepare the inside of your home for fall. During the warm summer months, the type of bedding that you use is relatively light. You probably put away your heavy quilts and comforters in storage. When the autumn season begins, those balmy nights turn into chilly nights. This is when you will need to start finding and washing your heavy quilts, blankets, comforters, and flannel sheets. While you’re washing your bedding, it’s also a great time to give your pillows a yearly wash in hot water with a touch of bleach to eliminate allergens or dust mites that might be accumulating inside of your pillows. As always, be sure to check the care label to see if these items can be washed at home or if they should be dry cleaned. Making sure that your bedding is clean and fresh is a proactive way to prepare the inside of your home for fall. The beginning of the fall season leads to an increased risk of your home experiencing a pest infestation. This is due to the cooler temperatures driving pests from their usual homes to find a warmer, dryer shelter. While the weather is still mild and pleasant during the fall, you should consider executing a round of pest control throughout your home as a proactive measure against a possible infestation. Laying out traps, spraying around doorways with repellent, and sealing holes in basements are great pest control steps and will help to prepare the inside of your home for fall. Check out our blog post with more tips on how to prevent termites. Safeway Home Inspections provides home inspection services to North and Central Jersey. For all of our buyer’s inspections, we include a termite and rotted wood inspection. Contact us to schedule an appointment.